Santa Ana Avenue is part of the Eastside Costa Mesa area of Costa Mesa. 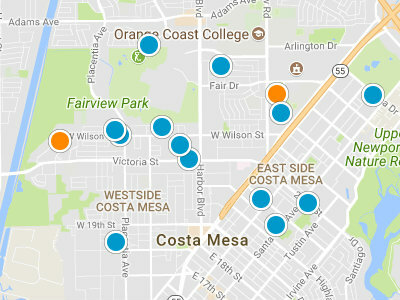 There are approximately 2000 homes in the Eastside area, but just 343 homes in the Santa Ana Avenue location. Santa Ana Avenue does have gated neighborhoods. Homes were built in Santa Ana from 1950 through 1997. The older homes have been completely renovated. 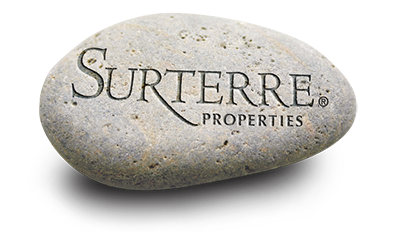 Santa Ana Homes range in square footage from 1,700 square feet to 3,000 square feet. Most homes in this area feature three bedrooms and three bathrooms. Homes in the Santa Ana Avenue area are priced from just 400,000 dollars to four million dollars. Homes in this area have spectacular sunset views. Homeowners’ association fees are approximately $360 dollars per quarter. Due to the large amount of variety of homes in this neighborhood, this is the perfect place to begin your home search in the Costa Mesa real estate market. Santa Ana students attend schools in the award winning Newport Mesa Unified School District, specifically Harbor Elementary School, Ensign Middle School and Newport Harbor High School. Residents’ are just one block from Newport Beach, the elementary school and local parks. Due to their terrific location Santa Ana Avenue residents can easily take advantage of dining, shopping and entertainment options in both Newport Beach and Costa Mesa.